Inspired by Harry Potter. This 2 pin set comes in rose gold metal and red, green, grey and white hard enamel. 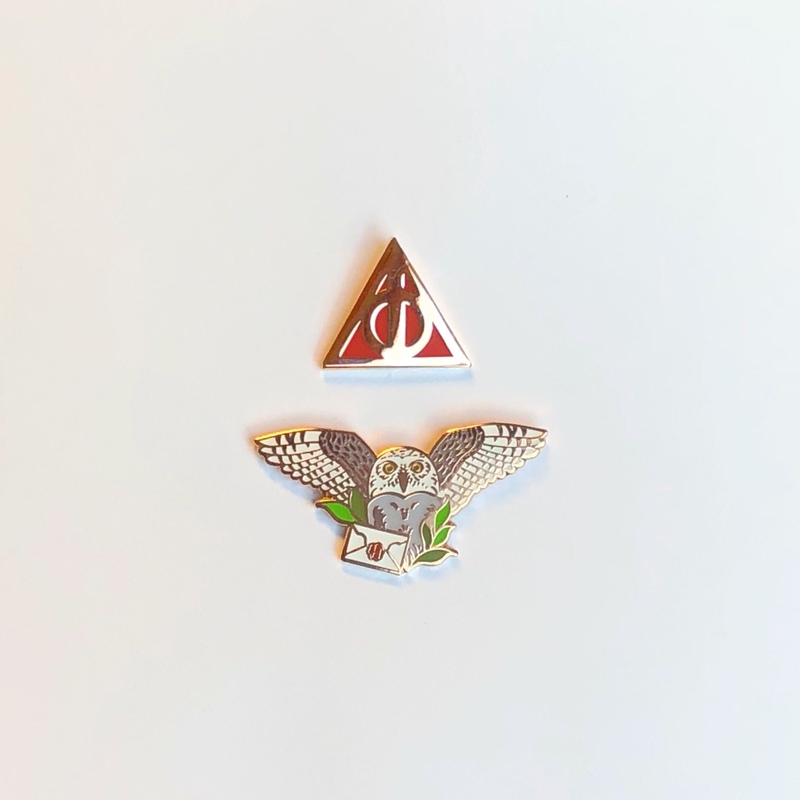 The owl is about 1.25” wide and the heathy hallows is around half an inch tall.